We’ve added even more currencies to the platform - 109 currencies are now supported, meaning you can organise international events seamlessly, providing your attendees with ticket prices in their local currency. 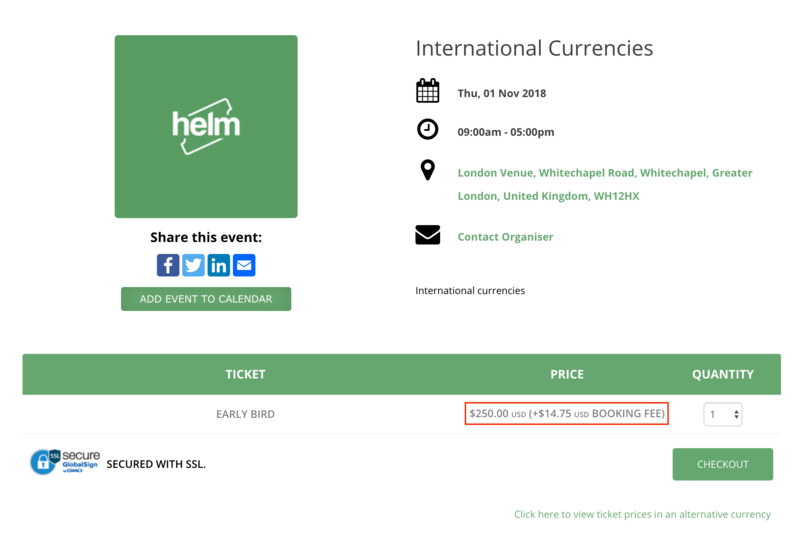 To sell tickets in the new currency, you’ll need to verify your account through Helm Tickets. Verifying is a simple process and we only require a scanned copy of identification for you to proceed. For more information check out Verifying your Account. Set on an event-by-event basis, the additional currencies add further flexibility to the system. 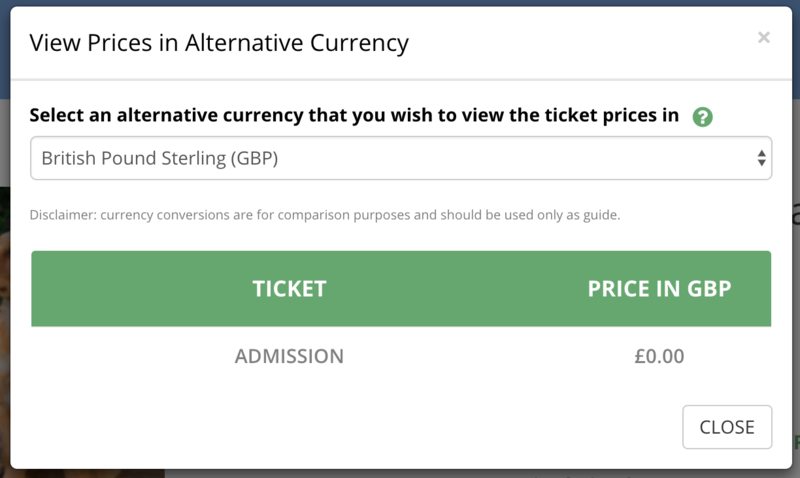 For international customers, buyers can also view your tickets in an alternative currency. This can help customers convert and understand ticket prices to their local currency.